I've known Tracey Bateman for many years, since before her first book was published. I've enjoyed watching her career take off. Now it is soaring. Tracey, welcome. Tell us how much of yourself you write into your characters. Depends on the character. I tend to put a lot of myself into my heroines. Claire was very much me. Cat, from Color of the Soul had a lot of my issues. It’s really cathartic to face your issues through characters. Having said that, not ALL my characters’ issues are mine. So many quirks, so little space. Still working on that one, actually. LOL I wrote some when I was a kid, but I guess I really got it, when I took a writing class in college and fell in love with creating the story. It just sort of escalated from there as God began to confirm one thing after another for me. I like all kinds. From ChickLit to historicals to contemporaries. I'm like you in that. I read all kinds of books. What other books have you written, whether published or not? I’ve only written one book that wasn’t published. That was the first one. Since then, I’ve written 12 Heartsongs, a number of novellas, three Love Inspired Suspense, The Claire Everett Series, Westward Hearts, Drama Queens, The Color of the Soul, The Freedom of the Soul. And more. Me, too. In that order. How do you choose your characters’ names? I pull them out of a hat. I need a better system though. I have too many Sarahs and Andys. My marriage. 18 years, almost 19. We still love each other and have a ton of fun. It keeps getting better, Tracey. James and I are going on 44 years. What is your favorite food? Probably confidence in my talent. I don’t think I have overcome it yet. Every day is a walk of faith and allowing God to be strong where I am weak. Trust God, obey his voice and be patient. The advice I’d really like to give is to newly published author, to be honest, and that is don’t take yourself too seriously (too many new authors do and it’s an ugly sight). Don’t drop newbies and enjoy where you are on the way to where you’re going. 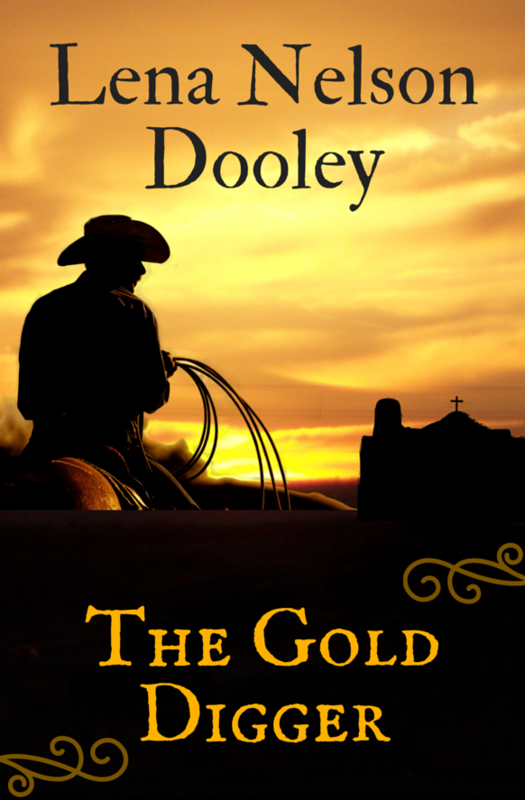 It’s a story of unconditional love and mercy set against a Westward expansion backdrop. It has all the archetypal characters and some other secondaries thrown in. It was a great book for me to write. Right now, they can’t. (maybe by the time this is up, they’ll be able to). Readers, you might want to check her out there. You can find all of her books listed. Want a free copy of Distant Heart? Leave a comment for a chance to win one. Also be sure to check back to see if you are a winner. We still need to hear from a few of the last couple of winner lists. We'll choose some winners this weekend. 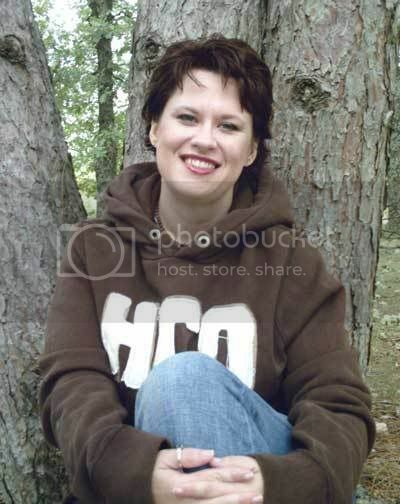 Today, I'm introducing you to debut author, Lynette Eason. 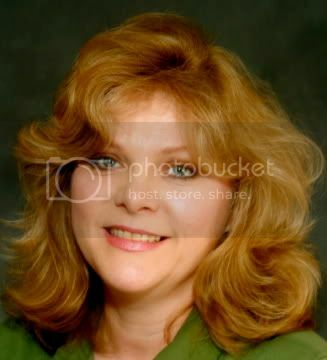 I've known Lynetter through American Christian Fiction Writers for a long time, and I'm pleased to tell you about her. I've read Lethal Deception, and it's a wonderful book. No wonder, she's also sold another Love Inspired Suspense. If you want to read my review of the book, go to www.lenanelsondooley.com and check out the January 2008 newsletter. I try not to put a whole lot of myself into my characters because I’m afraid it might make them come across lacking in individual personalities. Occasionally, I’ll put something in there that is me, but for the most part, my characters come totally from my imagination. In fact I have a series I’m working on that if it gets published, a lot of people who know me are going to wonder how much of it is autobiographical and I’m here to say…none! Oh boy. I’m such a NOT quirky person in real life, it’s hard to define anything I’ve ever done as quirky. Maybe standing in line, in the rain, snow and sleet, for four hours in New York to see David Letterman, then being told the show was full thirty people from the front. I was freezing and am not even a big fan of Dave, so does that qualify as quirky? Or just plain stupid?? What can I say, I was on my honeymoon and my new husband thought it would be the thing to do while we were in New York…blech. I much preferred meeting Mujibur in his warm, cozy store next to the studio. I’ve always loved the printed word. Growing up, I inhaled books, one after the other. My poor parents probably spent more money on books than they should have. However, when I was a Junior or Senior in High School, I remember writing a paper on Tess of the D’Urbervilles by Thomas Hardy. My English teacher wrote on the top of the paper A+++, then used it as an example for the rest of the class on how to write an English paper. I was a little embarrassed, yet thrilled at the same time. That had a major impact on me and showed me that maybe I had a gift for the written word. But I never really did anything else with writing except make A’s on all my English papers all the way through college. Then about ten years ago, I had a story running around in my head. I finally decided to put it down on paper. It was horribly written, broke every writing rule writing fiction has, but I had the story down. It was finished. Wow, I felt like I had accomplished something huge. At that point, I decided this was what I wanted to do. 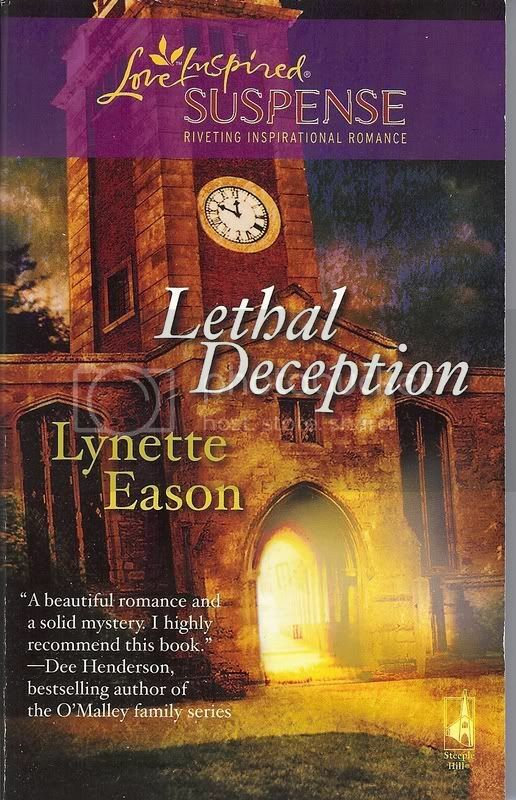 I prayed about it, daily asked God for guidance, struggled with learning the craft, absorbing each and every tidbit about writing fiction and what it takes to get to publication and then, voila, in February, Krista called to say Steeple Hill wanted to buy Lethal Deception. I figured up to that point, I had always been a writer to some degree or another. But now I could call myself an author…It still makes my heart pound. Who says I keep it? Mmmm waaaa hahahaha. No seriously, sometimes I feel like I am crazy, but the best thing I can do is find someone to watch my children, ages 8 and 6, grab up my laptop, my Bible and my debit card and head to Panera for some down time. Some of my best conversations with God happen at the Panera on the east side of town over a bowl of Black Bean Soup. And my husband is the best in the world. When I say I need time, he does his best to arrange it for me. And if I can’t do Panera, I go get a massage—if there’s enough money in the change jar. Just finding “me-time” is the best prescription for sanity keeping in my opinion. And I have to say, I have the best parents and in-laws, too. Nine times out of ten when I ask them if they can keep the kids for me, they say, “yes.” I think I’ve been told, “No,” once when one of them was in the hospital or something. I decided that was a good enough excuse. Ha. My in-laws live about two miles up the road from me, so dropping the kids off is no problem at all. I have to say, I have it pretty good in that respect. Sometimes I watch the credits roll at the end of a movie to see if there are any good ones listed. And depending on the ethnicity of the character, I may do a search online for that kind of name. For example, in Lethal Deception, I have a lot of characters from Brazil, so I did a search looking for Brazilian names. I’m also working on a proposal for a six book series and it’s about an Italian family. So, I did an online search for Italian names and got about as many as I could choose from. And sometimes, I just brainstorm cool sounding first and last names. That’s easy. My beautiful children. :-) Next would be publication. I’d be my father-in-law’s black lab, Moses because he’s spoiled rotten. We joke that he’s the favored child in the family. It’s a toss-up between Panera’s Black Bean Soup and Strawberry Ice Cream with M&Ms. Cheesecake runs a close second. I told you a little about writing that first book. After many rejections on what I thought was the best book ever written, I ended up writing four complete novels, joined writers groups such as RWA, ACFW, and FHL, and attended several writing conferences. I kept sending out stuff and kept getting rejected. Fed up, I self-published a book in January of 2005 called Gift of Grace. That was fun, but it wasn’t my goal. Then I realized that in order to get published, I needed to write something geared for a specific line, follow the guidelines, and pray a lot. My prayer was for my writing to be a ministry where when someone reads my book, they see Jesus in the pages. 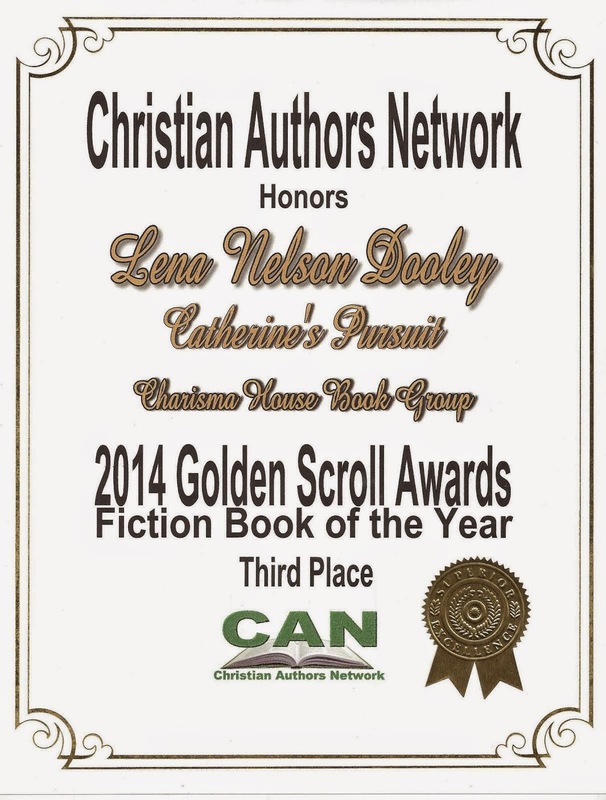 In order for that to happen, I needed a Christian publishing house. Steeple Hill fit exactly what I wanted. I got rejected a couple of times for various reasons, then finally got the right story at the right time with the right editor. Really the greatest problem is time. With two small children running around, demanding attention, it’s hard to sit and focus for any kind of lengthy time period unless it’s from about 11:00pm to 3:00am and I just can’t stay awake like that anymore. I also homeschool now. As far as overcoming it, I can’t say I really have. I just deal with it by asking my mother or mother-in-law to babysit, having my husband take the kids bowling, etc. And now they’re at the age where they can do a lot for themselves so that helps. Of course, they come first, writing second. But God seems to work it all out so I get exactly the time I need. It’s really amazing. Seriously, don’t give up. Learn from the rejections and keep sending your stuff out there. While one project is in the mail, work on the next. Keep writing, and polishing. Join different groups that have writers that write the kind of material you write and ask questions. I can’t think of a single Christian author out there that wouldn’t love to tell you about their work. Read blogs on writing. Terry Whalin’s blog is great. Brandilyn Collins has wonderful archives devoted to the craft of writing fiction. Those are just two examples because my response is getting really long, but there are some WONDERFUL authors who post writing helps and advice all the time. Search for them and learn from them. And go to writer’s conferences. Yes, they’re expensive, but you have a year to save, or even two years. And while I know it sounds like a long time, it’s also during that time that you’re preparing for that big meeting with an editor or agent. And it goes FAST, I promise. Just don’t go unprepared. That’s just NOT pretty. And it can hurt your career, too, no matter how great a writer you are. Lethal Deception started out as one chapter that I entered in a contest on eharlequin.com. The prize was $1,000 if your chapter won. I actually got the idea for this particular tale sitting in the DMV thinking what a jungle the place was. By the time my number was called, I had the entire first chapter down—with no intention of writing any further with it, just entering it into the contest to see what would happen. And now, after much editing, agonizing over it and heartfelt prayers, it will be out in February 2008. Oh, and it didn’t win the contest, although Julie Barrett from the Silhouette Intimate Moments line called to ask for the full! Shocked me to death. I told her thanks, but no thanks, I preferred not to write for that line. But it did get me to thinking that maybe I had the start of a great story. Apparently, Steeple Hill thought so, too, for which I’m so grateful. Thank you, Lynette, for this view into your journey to publication. 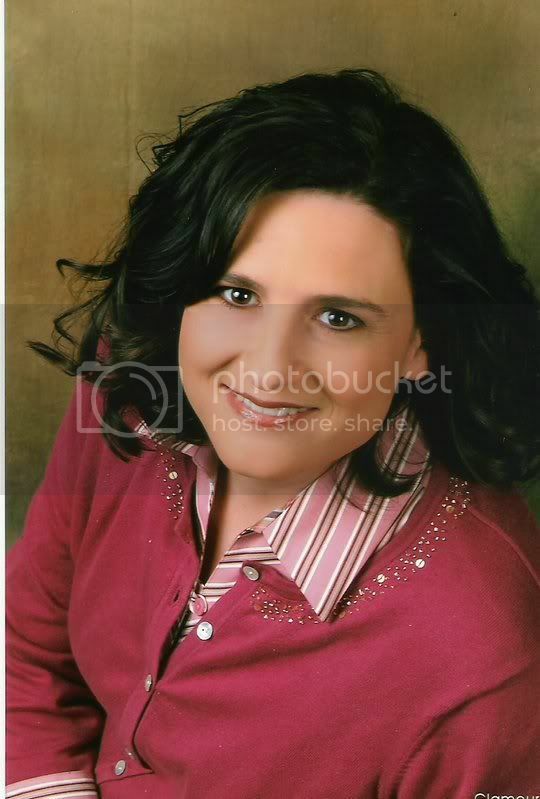 Readers, you can check out Lynette on her web site www.lynetteeason.com . You'll want to know when each of her books come out. We will have her back when the second one releases. Of course, you have a chance to win a free copy of her book if you leave a comment. Her book will be in stores all over the country next week. Pick one up. If you don't want to miss the next interview with her, sign up for FeedBlitz under my profile. 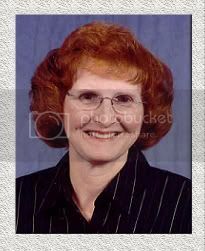 Dona Watson is the winner of Kingdon Wars: A Hideous Beauty by Jack Cavanaugh. Doreen is the winner of September Dawn by Carole W. Schutter. Wanted all of you to know that with proof of purchase of September Dawn the novel, I am giving a free ebook of the screenplay and the Dbl blue one line which is the daily shooting schedule of the movie. You'll want to contact her for that. She sent me a copy, and they are a wonderful resource. Check out her web site. The URL is in her interview. 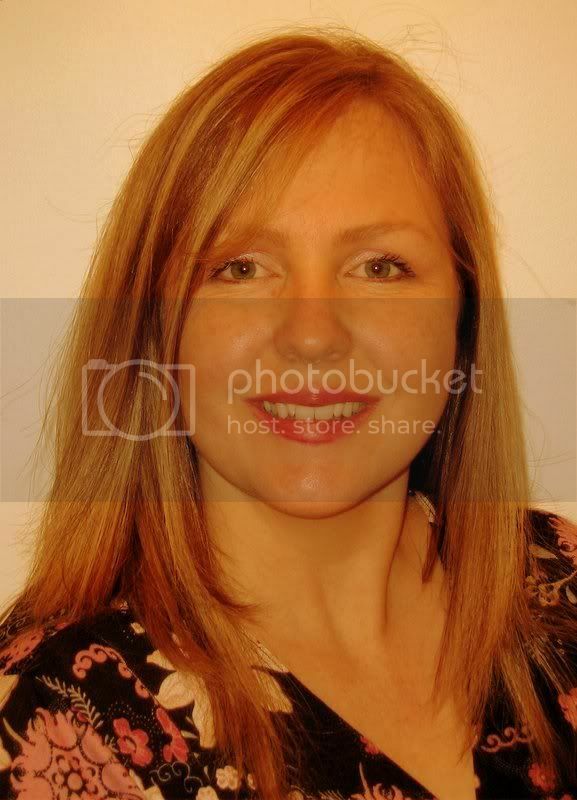 We're welcoming author Virginia Smith back to the blog. 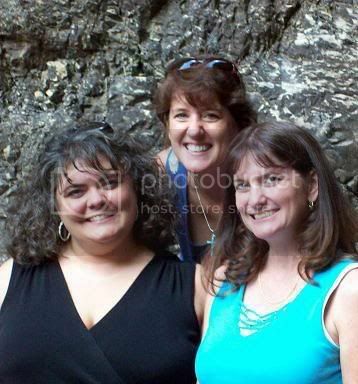 Here's a picture of Ginny and her sisters. Beth is on the left and Suzie is on the right. Ginny, welcome. What are some of the spiritual themes you like to write about? The theme of leaning on God tends to crop in many of my books lately. I have always said the Lord teaches me through writing, and one thing I struggle with in my personal life is constantly acknowledging that Jesus is the Boss. He’s in charge, not me. I accepted Him as Savior completely and totally when I was twelve years old, but letting him be Lord, day in and day out, is much harder for me. I find myself giving Him control with my words, but in my actions I wrestle control back from Him. At least three of my books have that as a central theme, and it shows up more subtly in a couple of others. I also have another mystery coming out in October. In A Taste of Murder, the heroine goes to a small town Bar-B-Q Festival primarily to meet a guy she connected with through the Internet. A few unpleasant surprises await her – including a body in her hotel bathtub covered in barbeque sauce. It’s a fun book, and I’m learning how to crank up the suspense level a few notches in my mysteries. Wow! Sounds great. If you could spend an evening with one contemporary person (not a family member of yours), who would it be and why? Invite me to dinner, too. How long have you known that you wanted to be novelist? About half my life. I spent the first twenty-something years as an avid reader, but I never considered writing. Certainly not writing as a profession. I wrote my first short story in my early twenties on a whim, and I fell in love with the process of writing. Unfortunately, I didn’t know the first thing about it, so it took me a long time to learn the basics. I sold my first fiction – which was Just As I Am – more than twenty years after that first short story! Oh, yes, the long road many of us took to publication. What can you tell authors who have been receiving only rejections from publishers? Don’t be discouraged (yeah, right!) and don’t quit! I collected 143 rejection letters (seriously – I kept them all) before my first fiction sale. I wanted to quit so many times, but I knew the Lord had placed the desire in my heart. I just couldn’t give up on something I knew He had in store for me, even if it took my whole life to get there. So seek the Lord’s guidance, and if you are sure He has placed the desire in your heart to write, keep writing. Do everything you can to improve your skills – go to conferences and take the workshops, read books on the craft, join a critique group, take online courses. But most of all, keep writing. Excellent advice, Ginny. Tell us about the featured book. 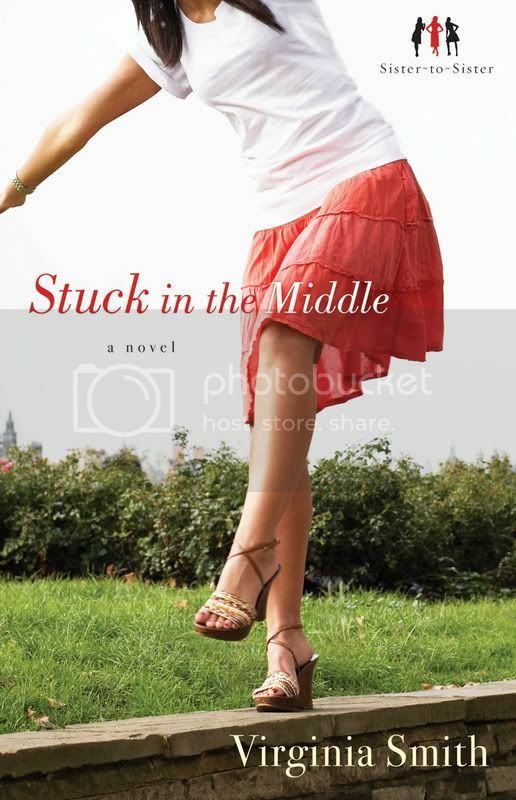 Stuck in the Middle is the first book in the Sister-to-Sister Series. It’s about the middle sister, Joan, whose life is stuck. While her siblings are off building families and careers, Joan is stuck at home with her mom and aging grandmother. Then a hunky doctor moves in next door, and the fun begins. Nothing heats up a romantic interest more than a little sibling rivalry! I think readers are going to be surprised, though. The story isn’t all fun and games. I tackle a couple of tough issues, like the difficult decisions we face as our parents and grandparents age. And the ripple effect of their parents divorce on young adults who are trying to build relationships of their own. I even touch on an issue that causes a lot of heated arguments in churches these days: the difference between contemporary and traditional styles of music. My website is www.VirginiaSmith.org . And I encourage people to check out the contest the publisher and I are conducting to promote Stuck in the Middle. I'm giving away a $500 shopping spree! Details are on my website. Thanks, Lena! It's always a pleasure to chat with you! Readers, leave a comment for a chance to win a copy of the book, but if you don't win, be sure to go out and buy yourself a copy. You won't want to miss this series. Afraid you'll miss one of the announcements or interviews on this site? There's a way to ensure you don't. Sign up for FeedBlitz under my profile. 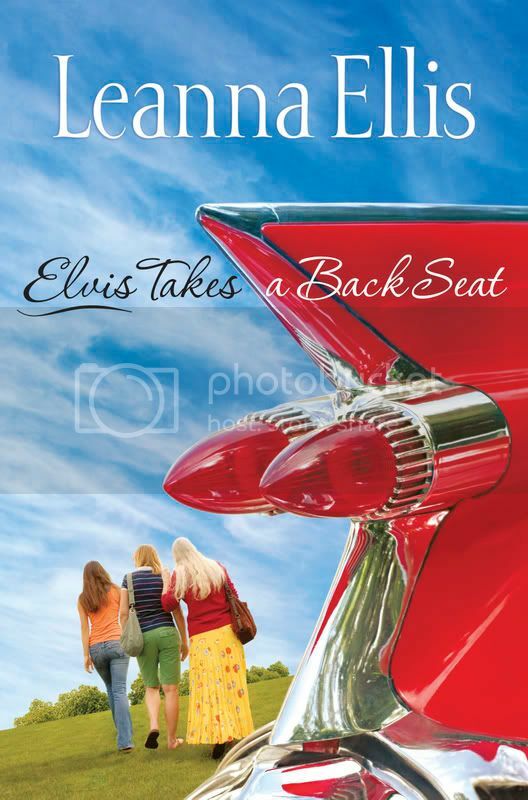 I'm glad to introduce you to my friend Leanna Ellis and her newest book Elvis Takes a Back Seat. Leanna go way back to before she married, then we didn't see each other for a number of years. Now we're back together. I know you'll love her. Leanna, tell us how much of yourself you write into your characters. I’m sure there are bits and pieces of me. A writer is never separate from his/her writing. Yet, once the pieces become part of a book or a character then they are no longer me. 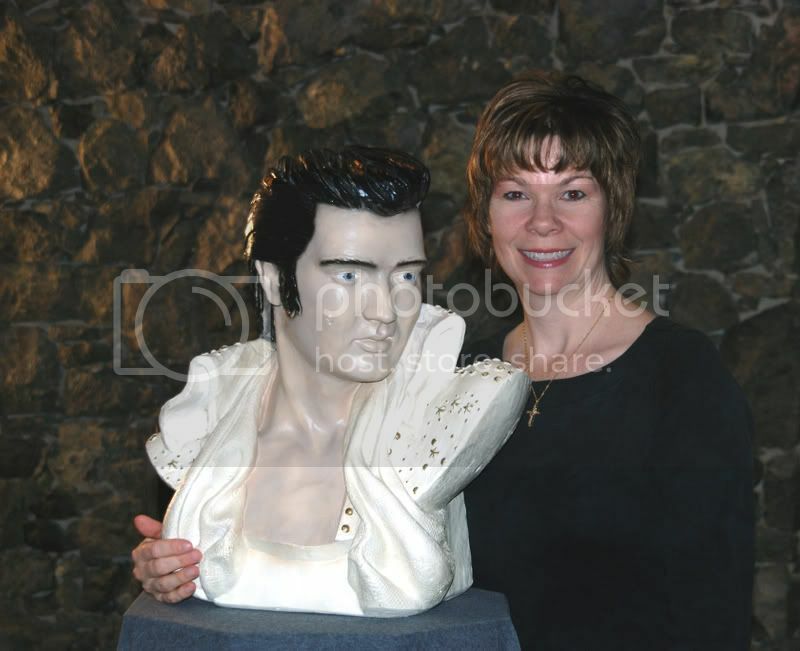 In Elvis Takes a Back Seat, my heroine has placed her husband’s memory on a pedestal. When I first began my writing career, my writing was my idol. I had to take it off the pedestal and sacrifice it to God. I let God take the driver’s seat and this author took a back seat. This took me a while to think about. Too many things to choose from, I’m afraid. I tend to be quirky in the sense that I listen to Christmas music all year long, especially in the heat of the summer. But I’ve also done some quirky things like accidentally walking in on my father-in-law when he was about to take a shower. Oops! Yeah, ooops! When did you first discover that you were a writer? I think I’ve always had a creative bent. The first story I ever remember writing was a Poe-esque tale that I wrote in 6th grade. I had such fun with that. My sister is the person who actually encouraged me to write. Good for your sister. Tell us the range of the kinds of books you enjoy reading. I read a lot of ABA best sellers. I love Elizabeth Berg and Sue Monk Kidd. The Secret Lives of Bees was fabulous. But I just finished The Kite Runner. It’s a hard read but fabulous. I’m also reading Ernest Gaines’ Lesson Before Dying. Another difficult (as in painful) read but wonderful. I could not put down The Other Boleyn Girl by Phillipa Gregory. Also, The Year of Wonders by Geraldine Brooks was fabulous. I used to write category romance. But now I write women’s fiction. You’re assuming I’m sane! Mostly I know I can do nothing without God. And I’ve learned to say ‘no’ to good things so I can say ‘yes’ to great things. I search for a name in a baby name book. I might choose one but then change it until it feels right. Sometimes the name simply comes to me. A lion. I love lions. Chocolate. Guacamole. But not together. I hope not. What is the problem with writing that was your greatest roadblock, and how did you overcome it? My greatest roadblock was publication. Perseverence. Write, write, write. Write for a while without trying to sell. Just learn the craft. Find your voice. I’m very excited about Elvis Takes a Back Seat. It’s my first women’s fiction title. It was a lot of fun writing. But it also has a lot of depth and seriousness to the novel. God really had his hand on this novel. Last summer when He pulled me to the CBA, He opened doors that I would have never dreamed possible. I can’t wait to see what God is going to do with this book. Leanna, thank you for spending this time with us. Readers, you'll want a copy of this book. One of you will win a copy. Just leave a comment to be in the contest. But if you don't win, get a copy. You'll love it. Today, we're welcoming back an old friend Wanda E. Brunstetter with her second book in this series. Wanda, what are some of the spiritual themes you like to write about? Forgiveness, anxiety, prayer, disappointments, contentment, and commitment. 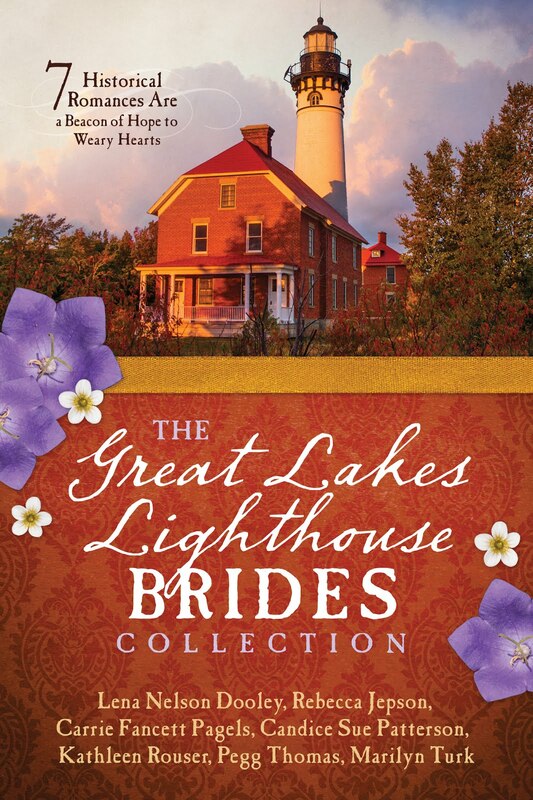 Dear to Me, which is Book 3 in my Brides of Webster County series, will be out in March 2008. 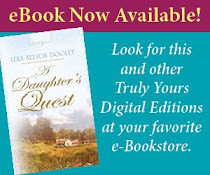 Allison’s Journey, which is Book 4 in my Brides of Webster County series, will be out in June 2008. A Sister’s Hope, which is Book 3 in my Sisters of Holmes County series, will be out in July 2008. I would spend it with my dear Amish friends, Jake and Sara, because they are two of the most loving, spiritual people I know. Since I was in the second grade and wrote a poem about a moth. Don’t give up. Keep writing and honing your work. Read books on the craft of writing, attend writer’s conferences, and ask someone to critique your work before sending it out. 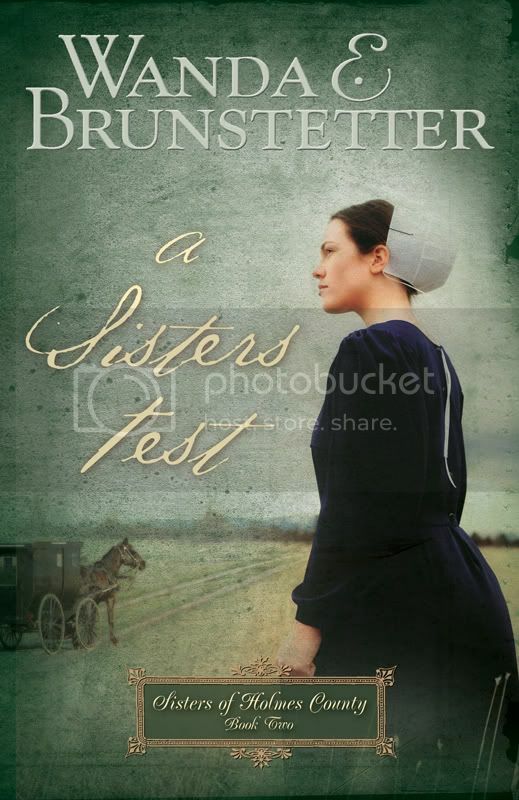 A Sister’s Test is Book 2 in my Sisters of Holmes County series, and it focuses on Ruth Hostettler. Ruth is the second oldest sister in the Hostettler family, and she has one burning desire—to marry and fill her Amish household with children. Life seems to be falling into place when Martin Gingerich starts to court Ruth and she befriends a motherless child. But Ruth’s dreams are suddenly shattered in one horrific moment, putting her faith to the test. Wanda, how can readers find you on the Internet? Readers, be sure to leave a comment for a chance to win a copy of this book. And if you don't want to miss a single author interview, sign up for FeedBlitz under my profile. We have quite a lineup of new interviews! Quiltingway is the winner of Seasons of Love by Elizabeth Goddard. Bebemique is the winner of Guardian of the Veil by Gregory Spencer. Be sure to email me your mailing address, so we can get the book to you. Today, we're visiting with Carole Schutter. When I read her book September Dawn, I was intrigued with this slice of history in our country. One thing stood out to me--the fact that it happened on September 11, even if it was in the late 1800s. Welcome, Carole, tell us how much of yourself you write into your characters. It depends on the character and the situation. I think a little bit of my feelings peek through most of my major characters. My experiences are seen through their experiences. When I first started writing, more of me showed up. My characters become so real to me that in my mind they are people I know intimately. I wonder what they would do or feel in certain situations and what brought them to that point. My friends and their experiences, the stories I’ve been told are found all through my screenplays and novels. That is a hard question, having grown up a conservative Asian girl. It took a while to become me. In college I went mud sliding after a downpour. My friends and I were covered in mud and we drove in trucks to the beach and dived in the water. The water was brown all around us and the people on the beach all ran away from us. I’ve done some other quirky things but that is the first thing that came to mind. I “wrote” my first story at age 5 on the side of my house. My grandmother had Alzheimer’s although we didn’t know it at the time. The neighbors had brought me home from school and left me at the back door and my grandmother forgot about me. I was bored and decided to write a fairy tale which I decorated with stick figures. I was so proud of myself. I knew right then and there that I wanted to write stories when I grew up. No one scolded me because my mother was shocked that my grandmother forgot about me. They never depended on her again to watch me. I try to read the Bible everyday. I read all kinds of inspirational and Christian books. I love historical fiction. I’ve been so busy, I haven’t had time to read beyond the Bible and inspirational books for a while. Ken Follett’s World Without End and The Kite Runner are on my bookshelf. Actually, my taste is very eclectic, from Grisham to Michener. The Ohana is a book I’m working on. I wrote it thirty years ago and shelved it. Ohana means family in Hawaiian, and it is a historical family saga about three immigrant families to Hawaii, Korean, Japanese, and Irish. The Great Depression, World War II, the Vietnam War, and the flower child generation frame the story of how these three families lives intertwine until they find the meaning of family. It is honest look at Hawaii. I hope it exposes the heart and soul of Hawaii without hiding the flaws. One of the side stories is how the “syndicate” which was the Hawaiian mafia, came into being. I wrote another book, Miracles Happen: A Prayer Guide for Desperate People, mostly for myself because I was desperate. I really felt in touch with the Holy Spirit while writing it. I’m rewriting it for publication now. Prayer, prayer, and more prayer. Mix it with trusting in the Lord, add lots of faith, and it equals peace in every circumstance…eventually. I pull names out of the air. Usually I pick names of people I know. Sometimes I make sure that the characters fit the definition of their names. Take Jonathan Samuelson, the hero of September Dawn, for instance. John and Jonathan mean “gift of God.” There were too many real Johns involved in the Mountain Meadow Massacre so I chose Jonathan because the definition of his name was important to the story. As for Samuelson; I happened to know someone with that last name and I was searching for an unusual last name. If I’m writing about someone of a particular race, I go to the Internet and look through names. Recently I went to the Internet to find Ethiopian men’s names. I pick ones that sound good or have a meaning that fits the nature or position of the character. Seeing my words and characters come alive on the big screen was thrilling and satisfying. A dog. Not only do I spoil and love my dog to death, all the people around me, like my sisters, are equally as nuts about their dogs. Not a bad animal to be. That is really hard. However, all my friends would say what I love best is dessert. I'm with you on that. What is the problem with writing that was your greatest roadblock, and how did you overcome it? I didn’t write for fifteen years or so because I was consumed with life. I didn’t overcome it, life overcame me and I turned to writing for solace. Never give up the dream. Persist. Don’t get discouraged by the amount of rejections you get. Keep alive the dream. Keep writing, keep refining your craft. Read, read, read. Pray, pray, pray. First of all, September Dawn is a love story. Secondly, it is about learning to forgive the way God wants us to forgive, absolutely, unconditionally, and with love. The rest of September Dawn is interesting history that devoured two years of my life doing intense research. It is not written to condemn, but to entertain and learn from. I was in South America recently and was told a shocking story of genocide that had been covered up. I talked about it to another South American, and he said something really interesting. He said that in his country, they believed that horrible stories were not to be discussed or taught in school because some people would begin to do the same awful things. 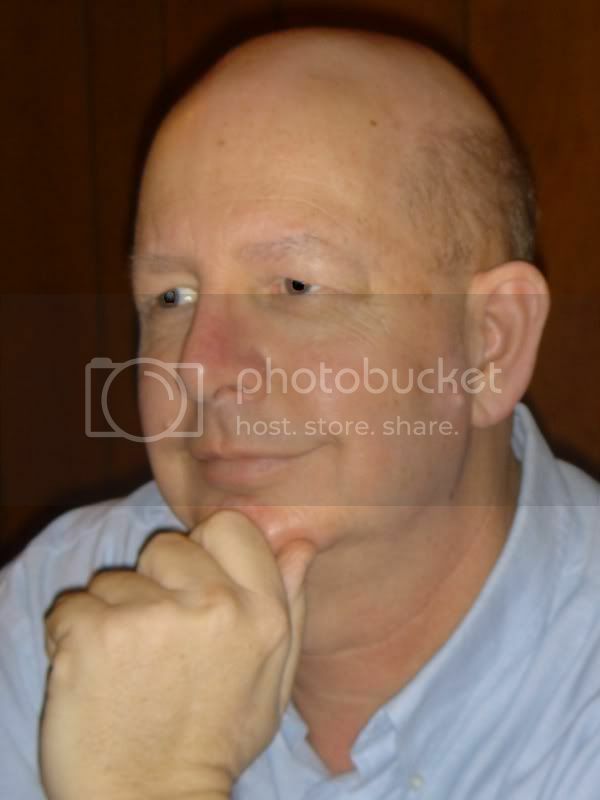 He claimed that there were skinheads in his country who existed only because these people had learned about the Nazis. I explained to him that many people in the United States believed that it was important to remember the horrors of the past in order to make sure that it never happened again. Not to accuse, but to learn from past mistakes. I hope that September Dawn helps to do that. Thank you for spending this time with us, Carole. Readers, you might be interested to know that the book is based on the movie September Dawn that recently came out on DVD. Leave a comment for a chance to win a free copy. If you really enjoy these interviews, sign up for FeedBlitz under my profile. The feeds will come to your Inbox. Today, we're talking to Jack Cavanaugh. Jack, welcome. Why do you write the kind of books you do? One of the best things about being a freelance writer is that you get to choose topics that interest and inspire you. Writing, then, is like telling a friend about something exciting you’ve discovered. Three days, actually. The days my children were born. It’s made me poor and humble but happy, because I’m doing what I love to do. I know what you mean. What are you reading right now? I recently finished the sequel to Kingdom Wars I. The subtitle for the next book is Tartarus and it will release in Spring, 2008. So now I’m laying the initial groundwork for a World War II suspense novel about a small farm town that is called upon to make an extraordinary sacrifice. Working title: Freedom USA. You'll have to come back when Tartarus releases. What would be your dream vacation? To tour all the places in the world I’ve written about and visited only in research. Me, too. How do you choose your settings for each book? Since most of my novels have been historical, the topic usually chooses the setting. For my more recent contemporary novels, I’ve chosen San Diego so I can write about a place where I’ve actually been. Four people. My wife and children. Can’t think of anyone else I’d rather be with. Being a freelance writer, I don’t have the luxury of hobbies. If I’m not writing, I’m researching or marketing my books. 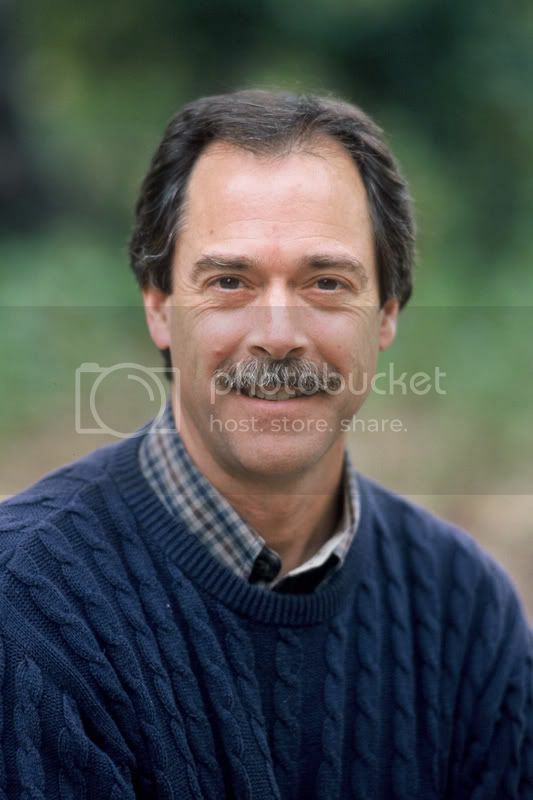 As for interests—I enjoy photography, tennis, and golf. Not enough hours in the day to do everything I want to do. Not only do I write novels, but I write screenplays, short stories, short-short stories, poetry, and inspirational non-fiction. Jack, tell us about the featured book. 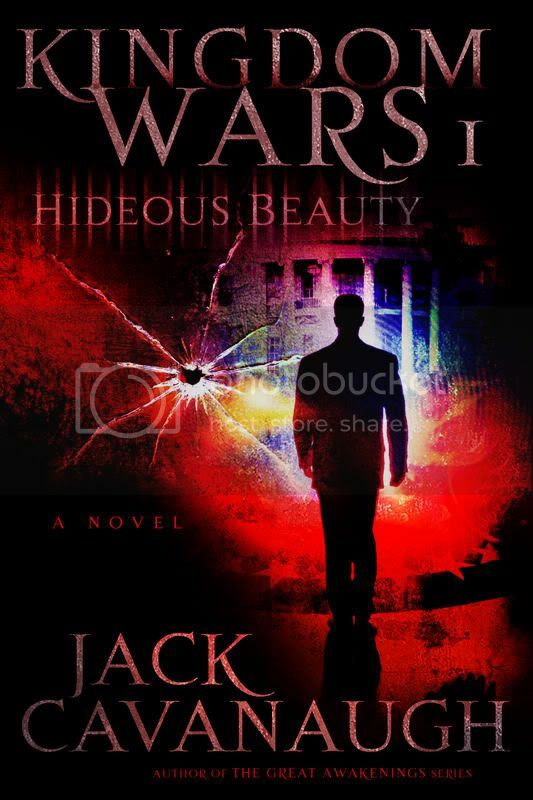 Kingdom Wars: A Hideous Beauty is a contemporary supernatural thriller that was inspired by a single verse in the Bible. The passage is in Genesis and tells about Jacob going on a journey. The verse describes how he stumbled into an encampment of angels, stayed the night, and then continued his journey the next day like it was no big deal. I wanted to write a story that used the same unapologetic approach to the supernatural world as portrayed in that passage. Hannah is the winner of Frasier Island by Susan Page Davis. 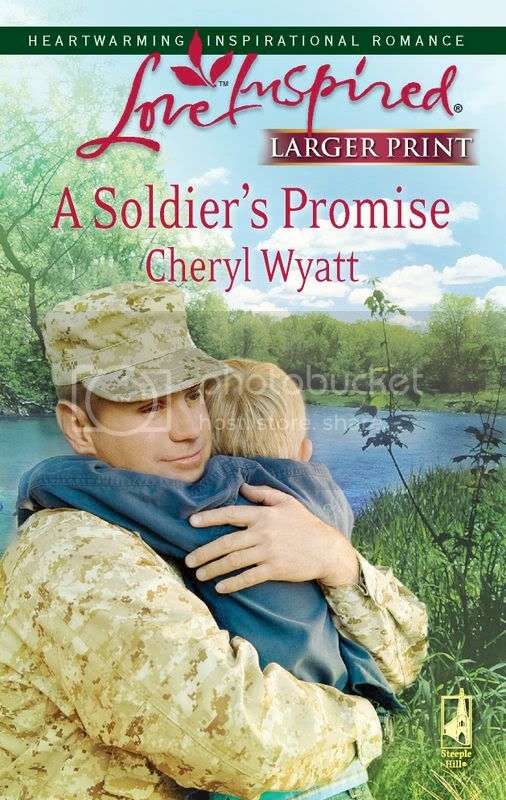 Es is the winner of A Soldier's Promise by Cheryl Wyatt. Please contact me with your mailing address, so I can forward it to the author. There's a link to my email under my profile in the right hand column. Today, I'm introducing you to Gregory Spencer, author of Guardian of the Veil. Gregory, tell us how much of yourself you write into your characters. On one level, all writers must always do this: find in themselves the humanity they hope to create in their characters. Perhaps this is one reason writing can be so painful. On another level, some specific aspects of my life have made their way into Guardian. I grew up “short,” like Len. My parents were alcoholics, like Lizbeth’s mom. In fact, a scene in Guardian is something I always wanted to do in my own family, but never had the courage to pull off. For me, this fictional event was a kind of “healing of memories.” Len and Angie’s grandmother “Dear Abby,” is modeled after my own mother-in-law in the early stages of Alzheimer’s. I dedicated the book to her. I've always been short, so I understand. What is the quirkiest thing you have ever done? Answer this question? There are too many quirky things to rank them in some definitive order. At a big variety show all-dorm event at Westmont College, I was recently one of the emcees. We joked about loving Sonny and Cher all night. Then we came out dressed as the duo and sang “You Got Me, Babe.” Very cool stuff. I would have loved to have seen that. When did you first discover that you were a writer? In fourth grade, I wrote a thirty page story. Then my brother threw it away when he “helpfully” cleaned out my desk. I wrote poems in high school, a play in college, and various parables before tackling The Welkening. The first chapter felt like moving a twenty pound lead pen across the page. So many worries about failure! I’m usually reading fiction, non-fiction, and devotional literature at the same time. I like light fiction such as Andrew McCall Smith’s No. 1 Ladies Detective Agency and heavier works such as Shusako Endo’s Silence. I love some classics, Les Miserables, and not others, Middlemarch. I recently finished McCullough’s John Adams and deZengotita’s Mediated. Both terrific. I enjoy Thomas Merton, Ann LaMott, Henri Nouwen, Dallas Willard, and many other devotional writers. Right now, I am finishing an old Puritan classic that is very rich: Jeremiah Burrough’s Rare Jewel of Christian Contentment. Sound like most of us should read that last one. What other books have you written, whether published or not? My first book was A Heart for Truth: Taking Your Faith to College (1992). 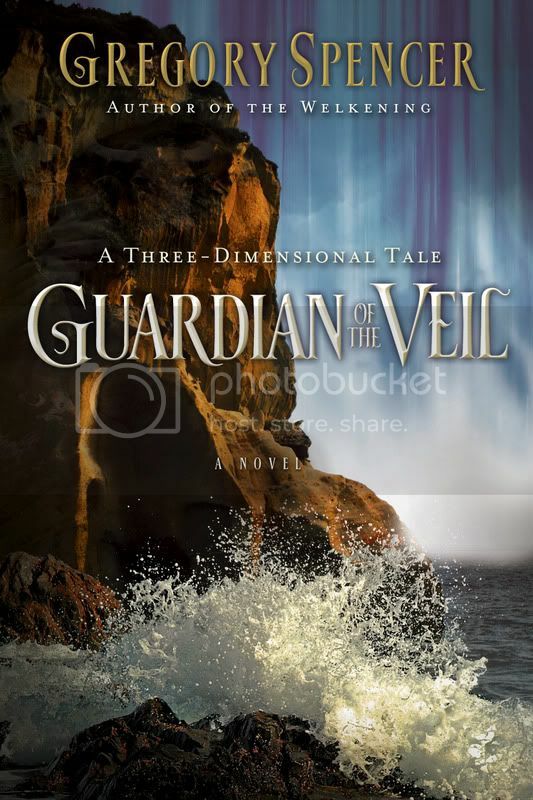 The Welkening: A Three Dimensional Tale (2004) is the precursor to Guardian of the Veil. I am currently working on a book called Living the Quieter Virtues in a Noisy World. Let me know when it's going to be published. I'll have you back for an interview. How do you keep your sanity in our run, run, run world? Who said I was sane? I try to spend some good time on my front porch at least every other day, reading and praying and not rushing anywhere. I don’t have a cell phone. Very carefully. There’s just too much to say here. Each town in Welken has an earthian counterpart—and the names are drawn from that area. For example, the Prester Highlands come from a legend/reality about a nation in northern Africa that some thought would provide a southern flank during the Crusades. A Portuguese sailor discovered the Kingdom of Axum (near present day Ethiopia) in the 1500s. The kingdom was not a military power but all their kings were called Prester John, hence my character’s name. The “publications” that are my daughters: ages 20, 21, and 23. All wonderful! Besides this “accomplishment,” I am “proudest” when my students take ideas they’ve learned and carry them with them after graduation. My daughters think I am already an animal. In this moment, I will say meerkat. These animals are alert, highly social, quick and downright silly. Depends on the time of day, etc. How could anyone answer this? I love fresh cinnamon rolls with good, strong coffee (with lots of cream and sugar!). I love food! Every day when I write, I have to “send the demons away,” all those voices in my head that I am a loser, a fraud, a terrible writer, not worthy to be called a novelist. Then I can begin writing. Also, the raw emotion of “going where the writing takes me” sometimes leaves me feeling quite needy and depressed. I’m so glad my wife Janet is a stable force in my life. I, too, have a spouse who is important to me on many levels, but also as a stable force. What advice would you give to an author just starting out? The best advice I heard comes from Francis Ford Coppola: GET TO THE END. The world is filled with would-be writers who don’t start or never finish. I follow the Rumplestilskin method: Write straw and later turn it into gold. Just write. Get to the end. Buy it! Oh, you don’t mean that. I am excited about the way the characters have to face their “enemies,” how they negotiate their temptations toward revenge or their temptations to make themselves into fortresses. I also love the theme of “the thinness of veils.” There is the veil between Skinner, Oregon and Welken, but also what it means that the veil between mental health and mental illness is thin, as is regular health and sickness, or the natural and the supernatural, and good and evil. Don’t you want to know, now, what it means to be a Guardian of the Veil? Hmm? Of course, I do. This book just jumped to the top of my to-be-read pile. How can readers find you on the Internet? Gregory, thanks for spending this time with us. Readers, as always, please leave a comment if you want a chance to win a copy of this book. I'll choose winners for Cheryl's book and Susan's book this weekend. Check back and see if you're a winner. To be sure you don't miss a single author interview, sign up for FeedBlitz in the right column under my profile. I feel like I'm having a banner year with my interviews. As with the first one, this interview is with an author I was privileged to help mentor. She's been a part of the critique group that meets in my home for years. Even after she moved halfway across the country, she participates through email. 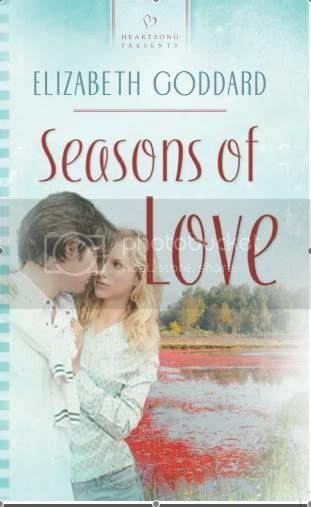 And I'm so happy to introduce her debut novel, Seasons of Love. This is the last book in the Massachusetts contemporary series written by Beth, Lisa Harris, and me. 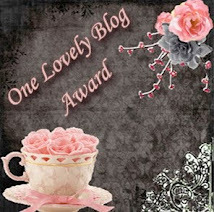 Beth, I am so glad to have you here on my blog. Tell us how much of yourself you write into your characters. I think it would be hard not to write something of myself into my characters. It’s probably easiest to fall back on what you know, too, if some part of a character you’ve created eludes you. In my first novel, I put a lot of myself into the characters—my work experience and the challenges of raising a child. It really depends on what you mean by quirky because many memories come to mind. But probably the craziest or gutsiest thing I’ve ever done is to pack up everything I own and move my family from Texas to Oregon to a place I’ve never been and a house I’d never seen. Wow, that was gutsy. When did you first discover that you were a writer? I’ve written stories as long as I can remember. Throughout my school years, teachers encouraged me to enter creative writing contests. A few years ago I signed up for a Writer’s Digest course on writing articles and various other courses, never completing them because I had a young child at the time. I just couldn’t see wasting years and time if nothing would ever come of it. But the Lord would not let go of me about writing. It’s one thing to know that you can write, and it’s another to actually decide that you ARE a writer and all that it encompasses. At one point I laughed at the thought that God had called me to write, believing it pure nonsense and that I had imagined the entire thing. But God got my attention again, so I decided to read Marlene Bagnull’s Write His Answer--a Bible Study for Christian Writers, which included information on discerning if you’d received the call to write. In 2001, I signed up for my first conference, a Christian writers’ conference-ACW and before I attended, I knew without a doubt that the Lord had asked me to write for him. And I believed that I was a writer. I love reading everything! I began reading Christian fiction years ago with Brock and Bode Thoene’s WWI series. I got hooked on historicals then. But the CBA has much to offer. 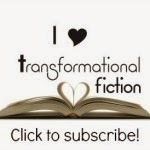 I love suspense, thriller, speculative fiction, fantasy and science fiction. My two all time favorites are Francine River’s Mark of the Lion series and Stephen Lawhead’s Song of Albion series. An historical and a fantasy. I’ve written several historicals and a fantasy—all unpublished. Who said I kept my sanity? I hate how busy I am. Fortunately, I’ve learned to put everything into perspective, realizing when I need to slow down and enjoy life. I try to focus on my family, cherishing every moment with my children. I highly recommend that. The children will be grown up and gone before you know it. How do you choose your characters’ names? That is the fun part! Sometimes my daughter, who also writes, (she’s fifteen) will come up with a great name that I like. I used to go through elaborate name searches on the internet, studying the meanings. But lately, I’ve started choosing names from people I know or meet who have interesting names. Four beautiful children who all love the Lord. I’d love to be a bird. I’ve wondered what it must be like to soar high or float on the wind. My husband, one of my daughters, and I shared a pizza yesterday. What is the problem with writing that was your greatest roadblock, and how did you overcome it? The problem that I see in my writing as my greatest roadblock is where to begin the story. I can’t say that I’ve overcome it, but I’ve made it my goal to know everything about how to open a story. So, one day this won’t be my problem anymore. One thing that I’ve noticed beginning authors struggle with is learning to accept critique of their work. Time and again, I see new authors who are unwilling to accept crits or they allow constructive criticism to stop them, and they go no further with their dream. My advice is to learn to develop a thick skin regarding critiques, learn to consider everything that is said and use what you can to improve your writing. When I first joined a critique group one particular crit partner was tough on me. I always planned ahead and made sure to have Double Dutch Chocolate ice cream at the ready. After I finished reading her critique of my chapter, I’d have my ice cream—it helped sooth the pain. It would take me at least a week to get over, but I would take what I learned and apply it. When Grandpa Sanderford asks Riley O’Hare to give up her climb on the corporate ladder and take over the family cranberry farm in Massachusetts, she actually considers it. Her mind is made up when her brother dies and she becomes the guardian of his son. Riley hopes the move and her new roles will help her find the purpose and peace she desires. Beth, thank you so much for spending this time with us. By the way, I love your picture. Readers, leave a comment on the interview for a chance to win a copy of Seasons of Love. Don't forget to check back to see if you won. Winners are ususally chosen on Saturdays. Of course, you can sign up for FeedBlitz (in the right hand column under my profile), and you'll know when each interview and announcement posts. 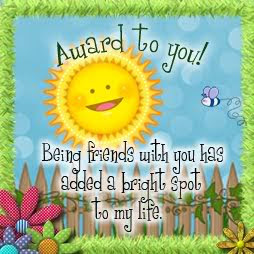 Both winners need to contact me with their mailing address. The link to my email address is under my profile. Afraid you might miss one of the interviews or announcements? Just sign up for Feedblitz in the right hand column under my profile. Hi, Cheryl, welcome to my blog. Tell us how much of yourself you write into your characters. Not very much. I like to write about people more interesting than myself. LOL! Although there are things that crop up in my stories resembling things in my life. For instance, Amber (heroine in book 1 USAF PJ series) HATES, and I mean HATES those “Forward this to ninety of your friends in the next five seconds or your computer monitor will explode” kind of emails. I definitely resemble that remark because I growl over those “bad luck” forwards. And I have called God, “Dude!” on occasion early in my Christianity like Nolan (PJ from another book.) So okay, yeah, and I’m sure my dad will definitely recognize the scene in my first book when Amber crashes her sports car into a house because she backed it into a ditch, then left it in Drive then got out of the car…which idled out of the ditch and almost ran her over. Blush. I can’t believe I’m admitting this in public. LOL! Um, well, I’ll just tell you it had to do with a pinball machine and a bouncer at Mississippi Nights in St. Louis. Oh man. Okay nevermind. I’m kidding. Let’s tell something I’ve done AFTER I was a Christian. I accidentally crashed my motercycle into a newly dug septic tank hole. Eight feet down. The second quirkiest thing was I let my not-so-tame pony (yes, a real live horse) INTO the house one day. Well, it was hailing really hard, and I promise you that horse opened the chain link fence gate with his nose, came up the steps, stood on the landing and KNOCKED with his hoof to get in. (my mother has pictures) Okay well then after he was in he wanted back OUT of the house and NOW, only he couldn’t find the door. Very dangerous. Don’t try that at home. When I discovered that it wasn’t normal to have Webster’s Dictionary be your favorite book. About the same time I received my first rejection from Highlights Magazine in third grade. Seriously ANYTHING WITH WORDS. I prefer romance and action-adventure type suspense. I read as much secular as I do Christian. I also love Max Lucado’s non-fiction. I will read just about anything I can get my hands on, even brochures for balding men if that’s the only thing close to me with words on it. I don’t read horror because I wake my house up screaming at two am with nightmares. For that same reason my husband has banned me from writing suspense scenes after midnight. I creep myself out. One night when he was working night shift, I abandoned my post at the kitchen table where I was plunged in the depths of a stalker scene. I heard someone on my roof and evacuated my children to the neighbor’s porch…only to find out after the cops showed up to investigate “the prowler” that it was only my sweetgum tree spitting those wretched balls at my house during a particularly windy night. I’ve written an embarrassing fifteen or more books. Do you want titles? LOL! I have had six or seven of my as yet to be pubbed novels consistently place in ten or twelve contests though. I used to NEED quiet, but now I think I thrive on chaos. There is chaos in every corner of my house. But for sanity’s sake, I do have the most wonderful mother’s helper (waving to Aimee) who comes in and keeps my munchkins entertained so I can recharge with a worship CD and “plug in” to God, Joel Montgomery (hero, book 1 USAF PJ series) would say. I need time to myself, and if I get that one day a week for an hour or two, I’m usually good to go. I pray and ask God for them. I try to find names that do not resemble anyone I know or have ever known. I’m really picky about that for some reason. I like names with meaning. A jaguar or cougar or some kind of lethal cat that can move at a high rate of speed. Why? Because claws come in handy ever so often. It’s a toss up between ribeye steak and grilled chicken Caesar salad. YUM! You’re making me hungry. Okay now this is an easy one. The two things I struggle with is writing characters who have a background of a dysfunctional family, or parents who didn’t care for them or weren’t there for them. Mine were. I never ever doubted my parents love and support. So writing characters who aren’t as fortunate as me is HARD. The other thing is finding time to write because my children are little and require lots of attention. How I overcome it is making sure I put God first then my husband and children always, always before my writing. Matthew 6:33 it I guess. I left one profession (Registered Nurse in OB) to stay home with them, and I know I’ll never get this time back with them. Seems like when I set quality time aside for them, my writing flows better, faster. It was a joy to write. It was a dream come true to sell a book. Something I’ve dreamed about since I was a little girl. Even before I knew God. He put that sense of destiny in me even when I took no thought of Him. The book has undertones of this sort of wonder, where you realize just how well He knows us and what we need. Even better than we know ourselves. It’s comforting, and I hope when people hold the book, they realize they’re holding a dream that God inspired more than thirty years ago. A dream that God brought to fruition. The book has a little boy with a wish, which I consider the same realm as dreams, things we want. So it was my way of saying to God that I understand this gift is from Him. If I can have even one reader look at my characters and think, “I wonder if God would respond to me the same way He did her character, with the same mercy, grave, love, etc.” Then all the hard work to reach this dream has been worth it. THANKS SO MUCH LENA!!!!! I’m SURE I exceeded my word count with this, but what a FUN interview!!!!! What word count? We don't go there in these interviews. You only have to do word count for editors. And you'll want to check out the other interviews where the books haven't been given away. Leave a comment for a chance to win them. IF YOU LEAVE A COMMENT, BE SURE TO CHECK BACK TO SEE IF YOU WON. WE'LL NEED TO KNOW WHERE TO SEND THE BOOK. If you don't want to miss a single interview or announcement, sign up for FeedBlitz in the right hand column under my profile. You should also check back in the archives. I've interviewed a lot of cool authors.